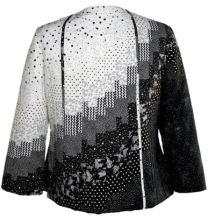 This jacket is designed with the simpler straight bargello method in an asymmetric design. It is eye catching and attractive on all body types. It is particularly slimming to those with ample hips. 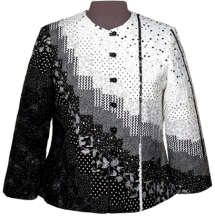 This jacket uses 12 different fabrics changing values from light to dark. 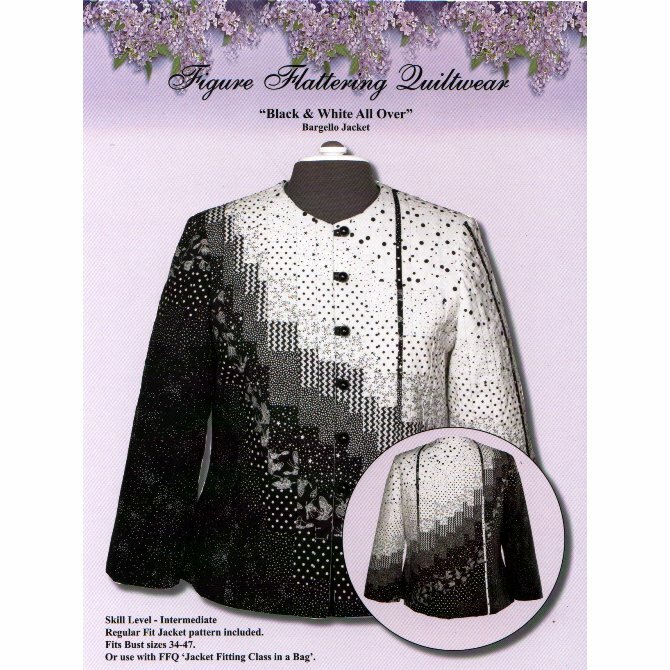 This design can be used with FFQ's custom jacket pattern or with most any jacket pattern suitable for quiltwear. Available in 3 different body types. Choose the body type that best describes yourself. Slender/Petite 32"-44", Regular/Average Fit 34"-46" or Full Busted Fit 34"-50". NOTE: If you are a Plus size (bust 50"-57") we recommend purchasing the DESIGN only choice.